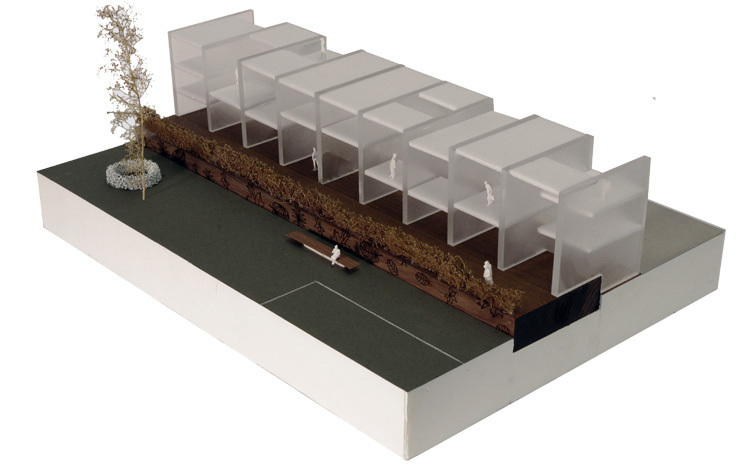 Europan 11 – Competition entry (nominated) by Michael Daane Bolier, Dorus Meurs and Taufan ter Weel (2011). Capelle aan den IJssel is a typical example of Dutch urban planning; founded on the banks of the IJssel and extended into the Alexander polder, designated as a “groeikern” in the 70’ties, harbouring several vinex locations since the 90’ties and now marked by several inner-city renewal projects. Each period marked by it’s own political- economic needs and facilitated by planning models mediating between the several public, communal and private interests and responsibilities. Currently, the large-scale market orientated housing developments seem to suffer heavily from the global financial troubles. Exposing the faults underlying the current models of urban development: uneven distribution of financial risk, large-scale landholdings and homogenous target groups. Exposing the inadequate distribution of responsibility and interests between involved public and private stakeholders and actors. This project proposes to introduce several new scalar graduations of responsibility and distribution of involvement. Producing a viable model for future housing development. Thus the project is organized according to three scales: the urban block, the row and the individual unit. Each organizing through its difference in scale and form a distribution of interest and responsibility. 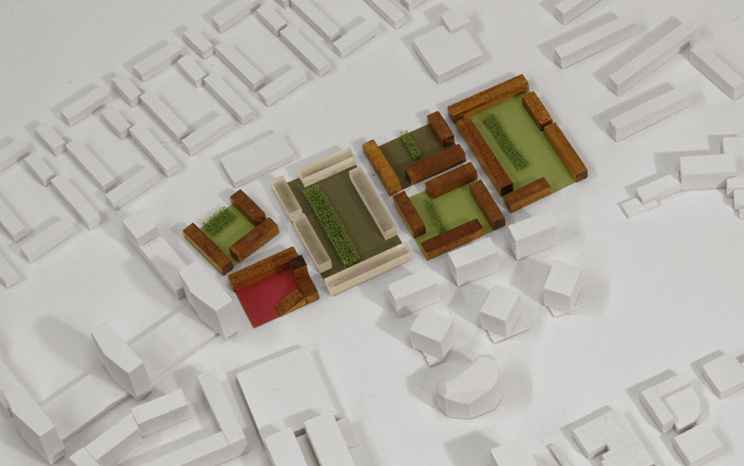 The urban plan consists of six urban blocks each defining an inner courtyard i.e. the communal garden. The blocks constitute a sharp difference between the exterior – “hard” public street – and the interior – “soft” communal garden. The urban block is enclosed by multiple rows – each row made up by several individual units – and harbours a communal garden. Each row, encircling the garden, constitutes an owners association whom together carry responsibility over the garden. Enabling the inhabitants of the urban block to decide over the usage of the communal garden and ensuring periodical maintenance. Relationship between units, rows and communal garden mediated by “green band”. The row consists of a collective indoor parking facility, a helophytes pond for the treatment of grey wastewater and green roofing and solar panels for local energy production and preservation. Organized within a fixed profile that is maintained and developed by the row residents’ association, enabling the reduction of costs and distribution of responsibilities. The unit consists of an open-infill structure within the concrete beeches of the row. Each developed according to the individual needs and wants of the individual homeowner. But through the co-operation within the row, costs and organizational burden is distributed. Relation to street – clear frontside with entrances of units and garden facing the street.